Samsung is all done with 2018 as the company has launched all the mid-range phones, flagships and also the flip phones for this year. If you don’t know, the company launched W2018 smartphone yesterday with a clamshell form factor and impressive specifications that also include a f/1.5 rear camera. 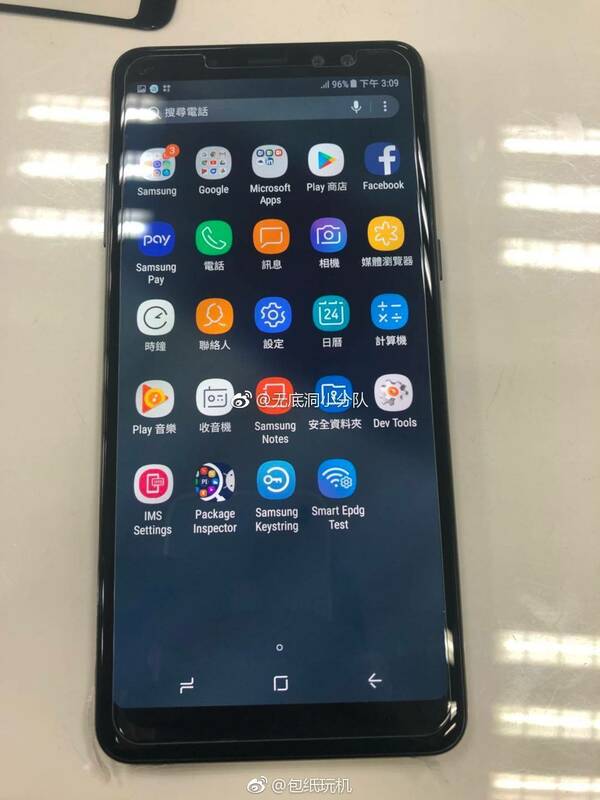 Today, we got an interesting leak of the 2018’s A-series phone that is not the A7 or A5. It’s the Samsung Galaxy A8+ 2018. So, seems like the A-series is also getting a phone with ‘Plus’ in the name. 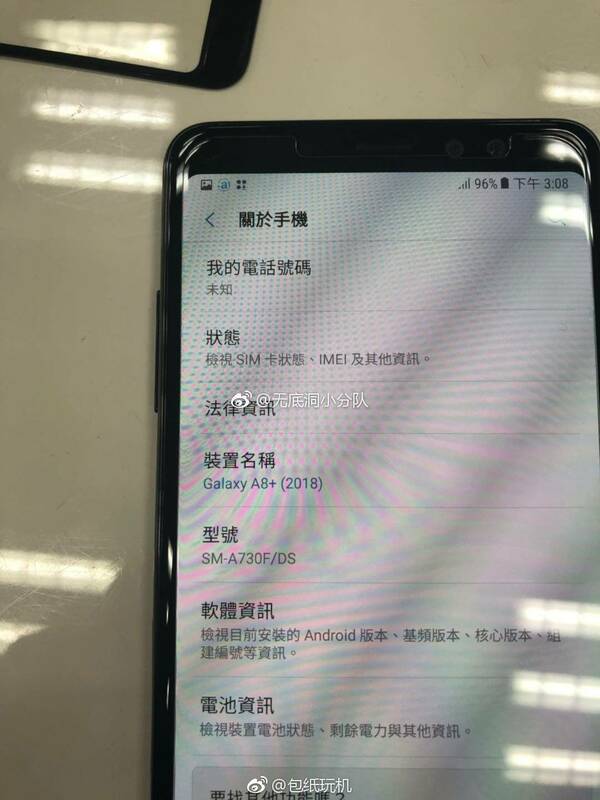 It is pretty interesting to see that the handset carries a model number SM-A730 and looking at the model number, you can say that it’s the A7. But, seems like 2018’s A7 will be named as the Galaxy A8+ 2018. Just like the Galaxy S8 and the Note 8, the next year’s A8+ is coming with an infinity display, rear-facing fingerprint scanner, and on-screen navigation buttons. The aspect ratio will most probably be 18:9. The phone might feature Exynos 7885 out of the box. There is no information regarding the specifications yet so stay tuned.